Here is a selection of our favourite hotels, ranging from traditional to contemporary. All have air conditioning, private modern bathrooms and free WiFi. These are examples of the hotels you will be staying at when you book with the Mid Life Cyclist. Hotel details are confirmed as part of the booking process prior to your departure. 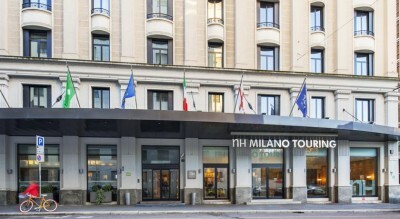 With lovely views over Indro Montanelli Park, the stylish Hotel Manin is a 15-minute walk from La Scala Opera House and Milan Cathedral. Via Montenapoleone’s exclusive shopping district, home to Prada, Burberry, Armani and other brands, is less than 600 metres away. The 4 star hotel has a rating of 8.1 (Very Good). 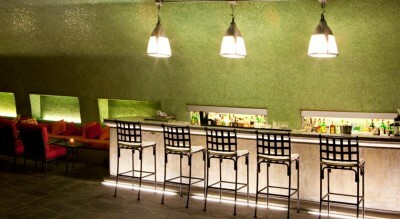 Design hotel centrally located within walking distance of central Milan as well as Milan’s Central Station. The 4 star hotel has a rating of 8.3 (Very Good). 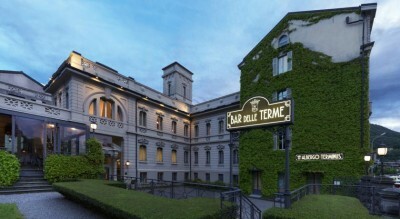 Art Nouveau building of 1907, located on the shores of Lake Como directly in central Bellagio. 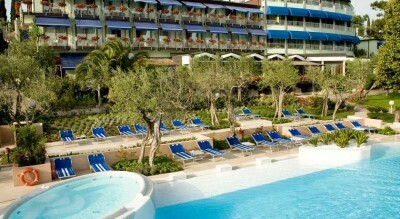 The hotel has an outdoor swimming pool and is 3 star with a rating of 7.8 (Good). Dating back to the 19th century, the beautiful Albergo Terminus hotel has both a great view across Lake Como and a central location in the historic centre. The 4 star hotel has a rating of 8.0 (Very Good). 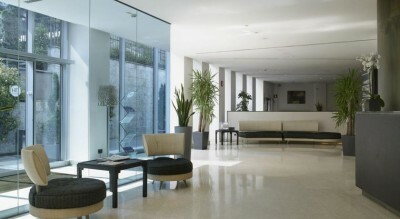 NH Bergamo is a modern, contemporary hotel situated in the lower town of Bergamo within walking distance of the shops and restaurants. The cable-car to the upper town is a 10 minute walk. The 4 star hotel has a rating of 8.5 (Very Good). 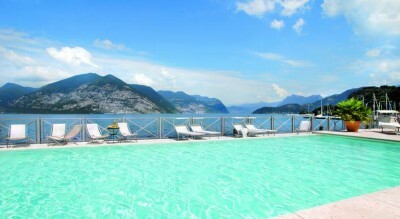 Dating back to the 19th century, this stunning hotel is situated right on Lake Iseo offering beautiful views from its terraces and many of the rooms. The 4 star hotel has a swimming pool and a rating of 8.5 (Very Good). Set in a 19th-century building, Ziba Hotel & Spa is just outside the ancient walls of Peschiera del Garda. It features a garden with outdoor pool, and a complimentary wellness centre including a sauna, hot tub and Turkish bath. The hotel is 4 star with a rating of 8.6 (Fabulous). The peaceful Hotel Olivi is surrounded by olive groves on the Sirmione peninsula, a few steps from Lake Garda. It features a new Thermae & Natural Spa which includes an outdoor heated pool with thermal water, and an indoor heated pool with salt water. 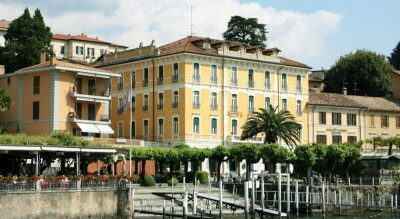 The hotel is situated right on Lake Garda and a short walk from the historic centre of Salo. The garden backs on to the lake and has an outdoor swimming pool. The hotel is 4 star with a rating of 8.7 (Fabulous). 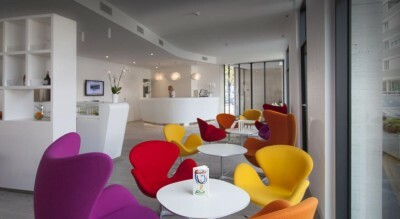 Contemporary, design hotel within walking distance of the centre of Lugano (Switzerland) and close to the lake. The hotel is 4 star with a rating of 9.1 (Superb). 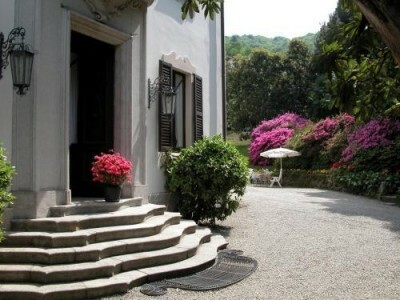 Early 20th Century Villa located within walking distance of the historic centre of Stresa which has regular ferries to the Borromeo islands. The hotel is 3 star with a rating of 8.6 (Fabulous). 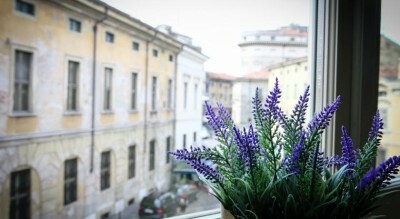 Situated in the historic centre of Mantova, this is a very special B&B with a rating of 9.6 (Exceptional). It is possible to easily explore the old city by foot due to its superb central location. Located on the shores of Lake Orta, the bike-friendly hotel has an outdoor swimming pool and a boat service which runs to and from Orta San Giulio. The hotel is 4 star with a rating of 8.3 (Very Good).